That Dr. Dog has written some supremely catchy tunes isn’t too surprising, but few would expect its (or any band’s) fifth record to be every bit as exciting as its first. Displaying positive direction and a newfound wisdom from their stint with big-time production, Be the Void is Dr. Dog’s best effort yet. While 2010's Shame, Shame took Dr. Dog on a more reflective, gloomier journey, Be the Void is the band's reemergence into its escapist tendencies. 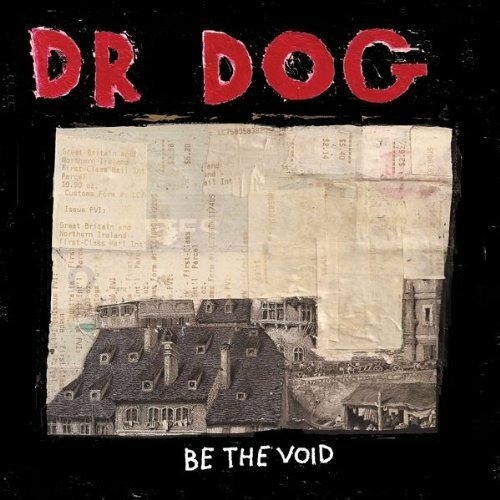 With Be the Void, it has become clear that, while they’ll probably never make their masterpiece, the strange way they operate is essential to the business of being Dr. Dog. It's no crime in and of itself that Dr. Dog borrow liberally from the past; their trouble lies in what they do with the stuff. Purchasing Be The Void from Amazon helps support Album of the Year. Or consider a donation?